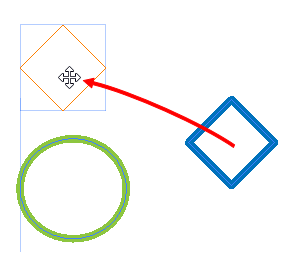 When enabled, while moving your selection, the rectangular bounding box of the selection will align with the rectangular bounding boxes of other strokes and shapes in your artwork. When enabled, clicking on a shape or pencil line will select everything in your drawing that is painted with the same colour. Click on this to select all the drawings in the current scene simultaneously. You can then manipulate them together. The outlines of drawings in other panels will appear in the Stage view.